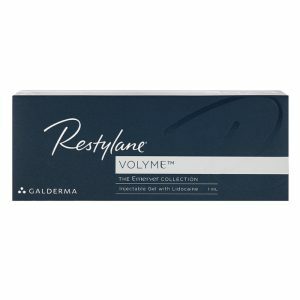 WHAT DO YOU NEED TO KNOW ABOUT RESTYLANE? Restylane is a dermal filler (gel) designed to rejuvenate the skin of the face. The filler is produced in the form of a gel and contains Hyaluronic Acid (HA). Mass concentration of HA in the gel is 20 mg/mL. Correct the shape of your lips. Tear troughs, which are the groove that sits between the lower eyelid and the cheeks. As a rule, filler works for at least 6 months. Most people are satisfied with the appearance of their face after 9 months. In case you have touch ups 6-9 months later and have a small amount of gel introduced, RESTYLANE results can last up to 18 months. 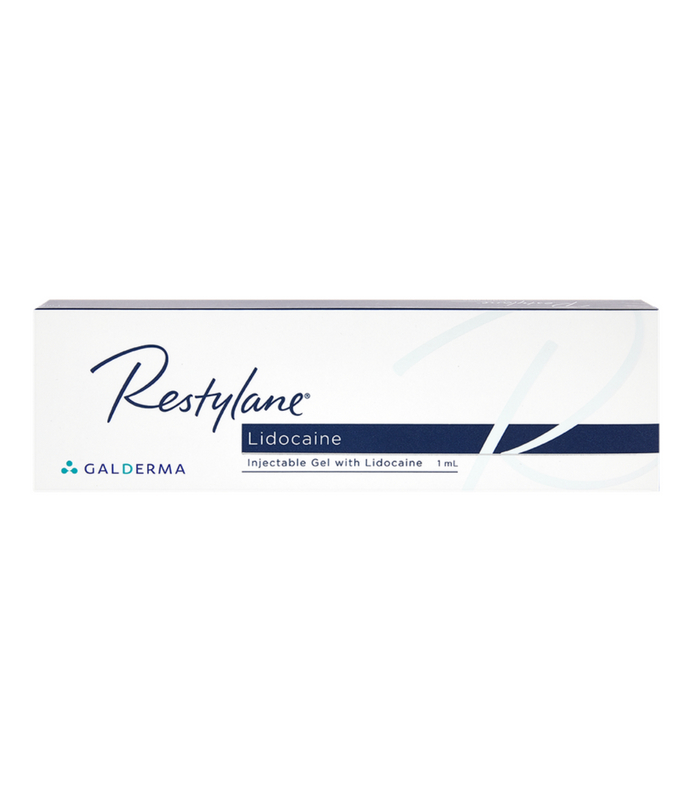 RESTYLANE dermal filler contains Hyaluronic Acid of non-animal origin. It is free from animal protein, therefore allergy pretesting is not necessary. Thanks to the cohesive texture, filler stays in place after being injected. This property allows creating a volume where it is necessary and maintaining the achieved effect for a long time. 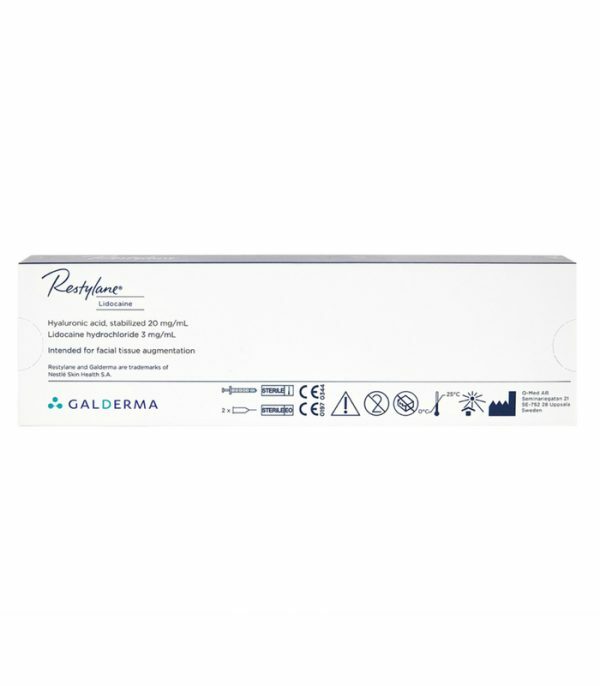 Injectable gel is available with 0.3% lidocaine to improve patient comfort. Cost of different fillers will be different. These and other brand fillers are available for sale on Anna’s Cosmetics. Depending on the treated area and the injection technique, Hyaluronic Acid is inserted using an ultrathin needle or cannula. The amount of gel injected depends on your face and the results you want to get. The duration of the entire treatment is usually 15 to 40 minutes. After the treatment, it is important to lightly massage the treated area. An ice pack will reduce or prevent the appearance of edema, redness and other adverse reactions. 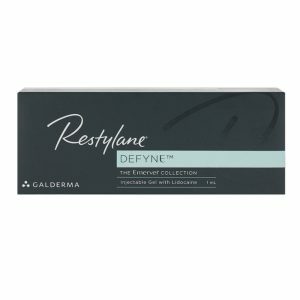 RESTYLANE is a non-permanent injectable filler. Hyaluronic Acid is biodegradable with time. To maintain or improve the results you need timely touch ups. Volume & Packaging: 1 x 0.5 ml or 1 x 1 mL pre-filled syringe. Accessory: One or two sterile 29G1 / 2 ”needles. Package insert. A patient record label. Storage Conditions: Store at room temperature (up to 25ºC / 77ºF). DO NOT FREEZE. Dermal filler RESTYLANE is manufactured in Europe by Galderma.